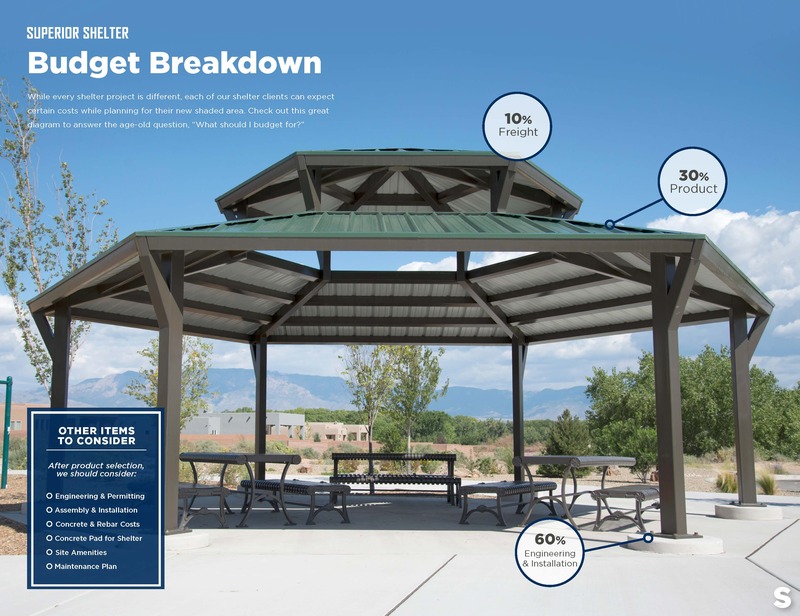 While every park shelter project is different, each of our shelter/pavilion clients can expect certain costs while planning for their new shaded gathering space. Whether building for a park, school, or community center having detailed financial resources to help you get started will be a great benefit. Check out this great diagram to answer the age-old question, “What should I budget for?” To download this budget breakdown, please click here.